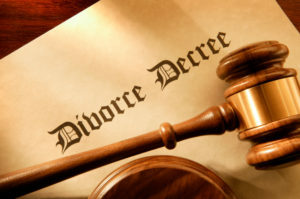 It is common knowledge that a divorce may be one of the most difficult challenges a person faces in their lifetime. Recovering from divorce is a long process of change that requires hard work and effort. Typically when there is a problem, we tend to spend a great deal of time thinking, analyzing, and talking with others about what went wrong. However there is another school of thought. Rather than focusing on what went wrong (the problem) it is much more effective to work towards solutions. By looking forwards, towards solutions instead of backwards at the problems, allows the person to move into a position of being solution-focused rather than problem-focused. Here are a few tips to shift from a problem-focused perspective to a solution-focused perspective. Becoming solution-focused is a starting point for initiating hope, and creating a more positive outlook towards change. It increases positive affect, decreases negative affect, and increases self‐efficacy. Realizing that you have the power to make positive changes will not only benefit you and your child but also your child’s other parent.